WHAT IS a Young Scholar? CIAN welcomes high school students near a CIAN university into our labs to participate in research that is creating ultra-broadband communication for the next generation internet. Participants will be assigned an exciting, hands-on project and mentored by CIAN faculty and graduate students. CIAN aspires to create a technological revolution in internet access speeds. Students will conduct research in a cross-disciplinary setting collaborating with faculty, graduate students, research engineers, post-docs, and other students. The program acts as a unique opportunity for high school students to be introduced to the university setting and research offered by top-tier faculty. 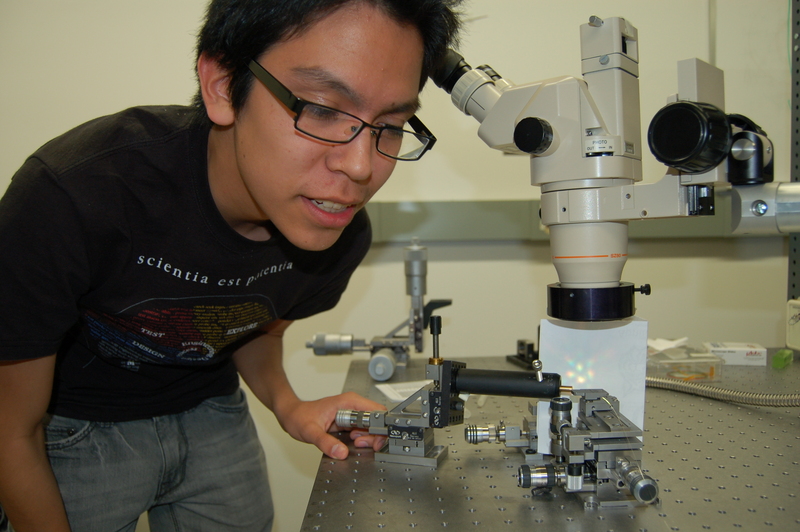 Read more about previous young scholar, Victor, who is now an Undergraduate Research Fellow and student at the University of Arizona. Victor’s experience as a Young Scholar. 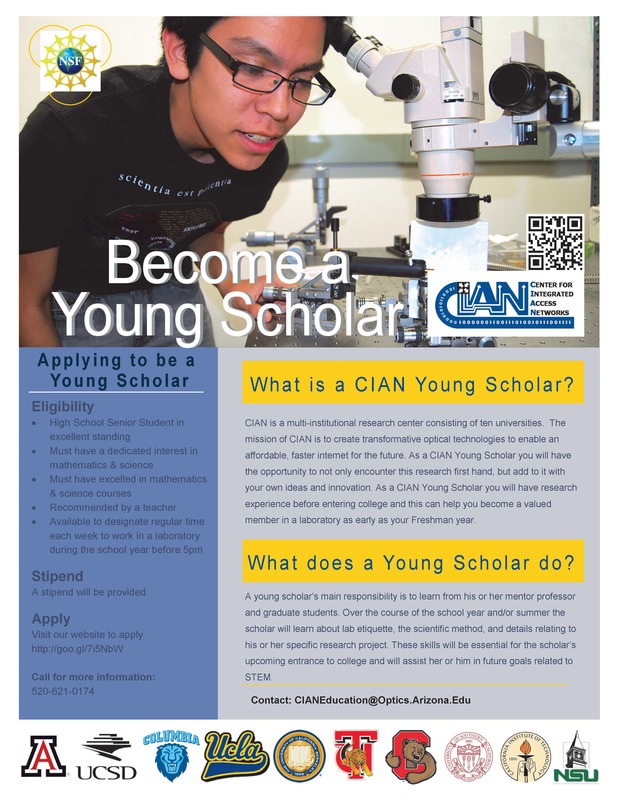 High School juniors and seniors near a CIAN university who are interested in Science, Technology, Engineering, or Mathematics (STEM) may apply. Minimum 3.0 GPA is required, on a 4.0 scale. CIAN strongly encourages applications from underrepresented minority groups, women, first-generation college students and students that do not have previous lab research experience. US Citizenship or permanent residency is required. May be mailed to CIAN in a sealed and signed envelop by the letter writer, or emailed directly by the letter writer to CIAN.